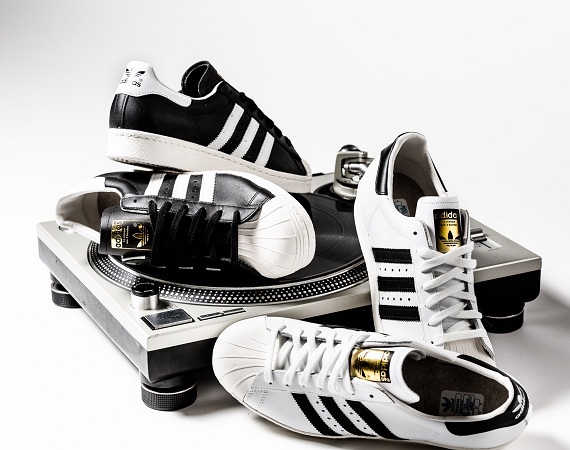 adidas most popular shoe of all time gets the retro treatment with this special "Black/White" pack done up on the classic Superstar 80s. Both pairs feature a nice vintage look with gold foil details and premium leather throughout. These are available in very limited numbers at select adidas Originals retailers worldwide like 43einhalb here. Make sure to scoop up a pair if you can get your hands on them as these are definetaly going to be hard to catch.